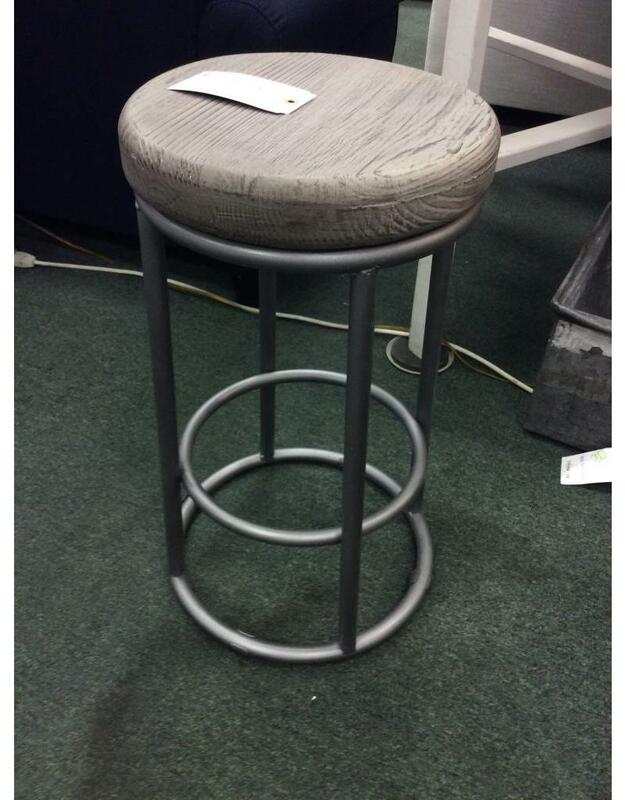 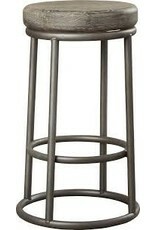 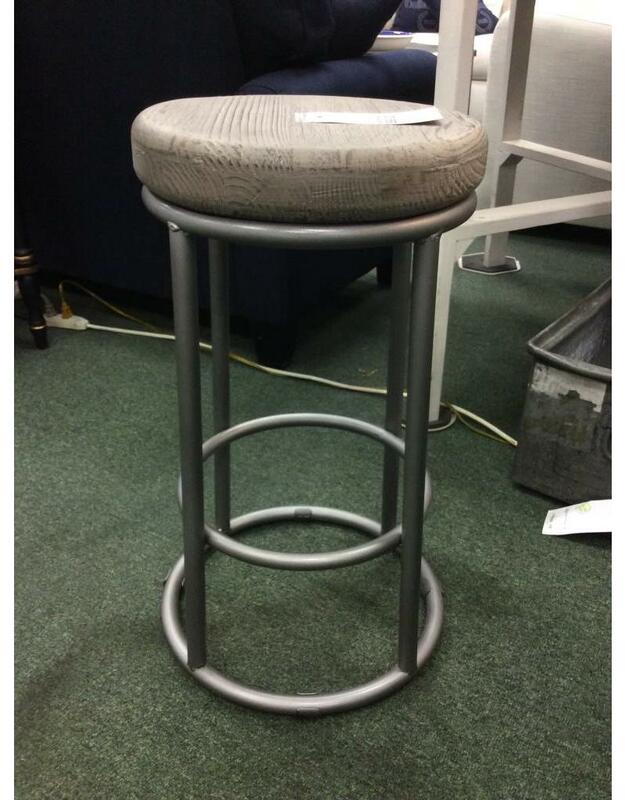 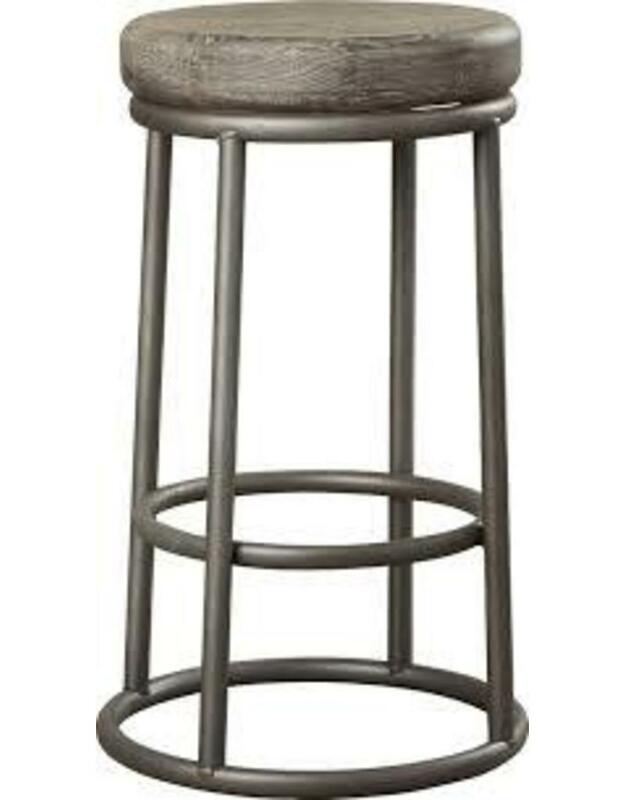 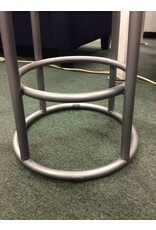 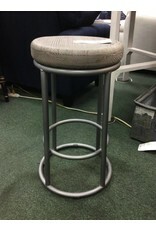 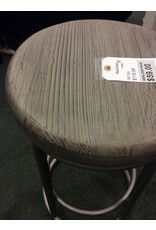 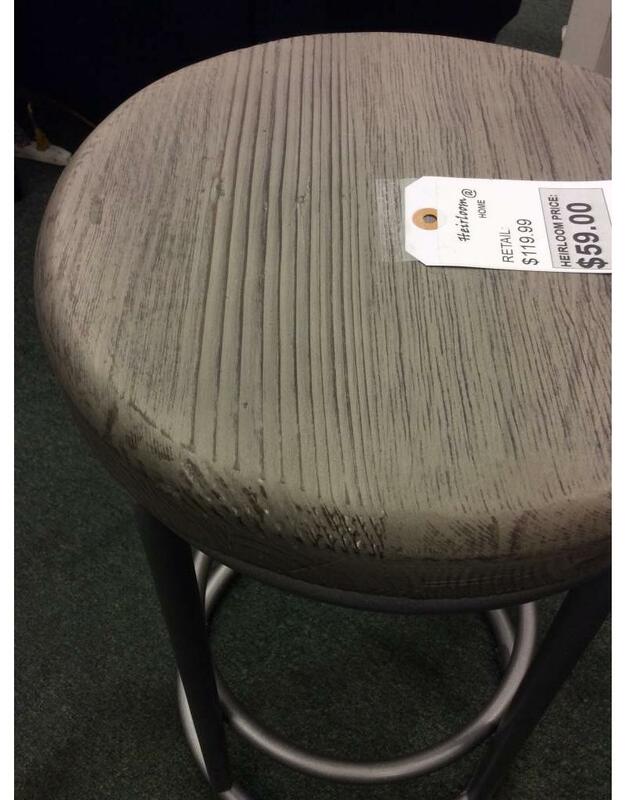 Brand new backless bar stool with solid metal frame and gray finish. 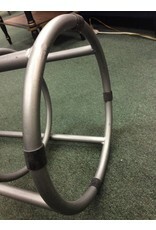 Don't worry even though the round base looks flush with the floor, it has glides to ensure your floors will not get scratched up. 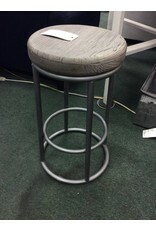 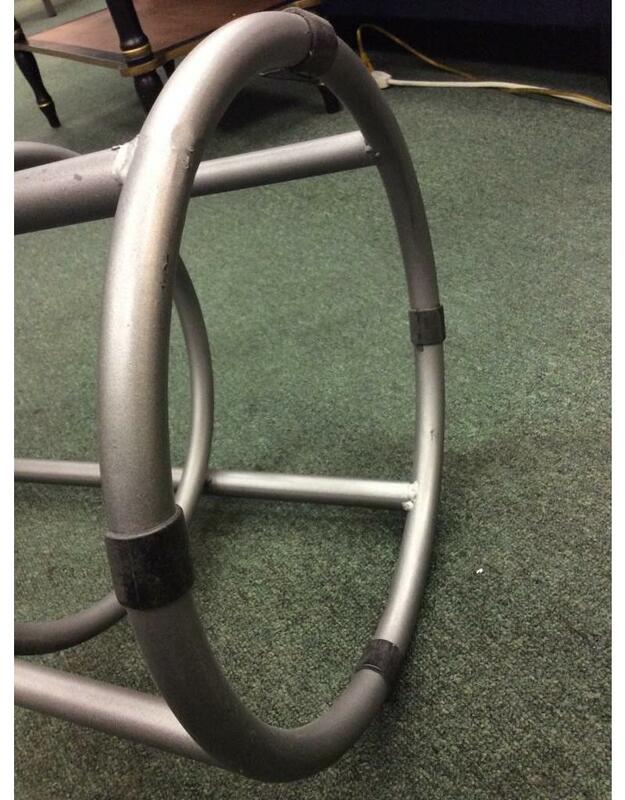 The metal frame has a matte gun metal appearance while the wooden seat has received a few coats of gray wash to match. 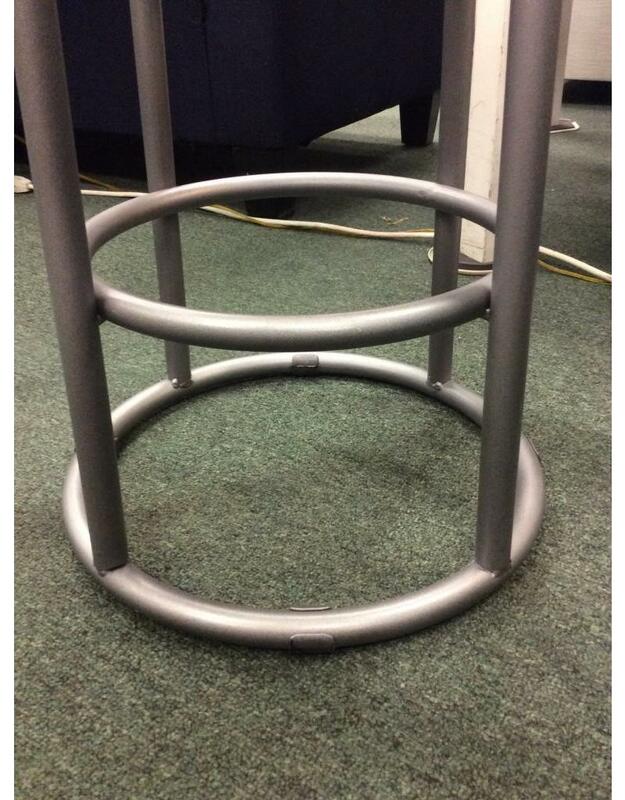 15" x 15" x 24"